As 2018 starts, as with many people I have been looking back on 2017, and as far as work was concerned I’ve done a lot of ‘office’ work out of office. It has probably been the most productive I have been in a given span of time. If it’s not clear enough, YES, I am a fan of remote working, but it’s a hard thing to do when your day job is a ‘traditional’ job where you are required to report to work on a certain time and finish at a certain time. There’s already a ton written about remote working, so I’m not going to write too much about what it is, but rather what I think are the opportunities and challenges that are present from a Maldivian context, maybe break it down into a few parts. It’s my individual experience, yours might vary so take my thoughts for what they are; my thoughts. I’ll start off with some informal discussions I’ve managed to have with a few HR professionals and managerial staff of some bigger (read: public, SOE, govt) companies here, most respond in a similar manner, the most common 5 themes/concerns I’m paraphrasing here for sake of clarity are listed below. This is a trust issue, the employer is not able to trust their employees they selected through their screening process, to do the work. But somehow, they still keep them at the company. And worse, it seems most of the time they don’t even seem to be able to trust the capabilities of the supervisors whose job it is to monitor the work progress of the team. This has NOTHING to do with remote working, if you can’t trust your employees to do the work maybe it’s about time you replaced them with people you can instead, if you already feel that they won’t work when they are not being watched like a hawk, they probably already are slacking off anyway the moment you turn your back. As for measuring the performance, most remote and onsite jobs can be broken down into tasks and deadlines which can easily be measured using widely available systems and tracking tools. This is not a hard thing to do, provided your supervisory team are doing their job, in fact there’s a massive benefit to catching issues and doing course corrections early on. Also, this also has nothing to do with remote working. If you are tracking the work, its measurable either remotely or on-site. It’s 2018! Laptops are as cheap or cheaper than desktops considering TCO, video-conferencing is a thing. Run the quick meetings and presentations online! Sure, it’s strange the first few times, but it’s not something new or untested. everyone’s doing it. why are we not? Most meetings here are long winded, without an agenda, and everyone seems to be out to show how much ‘work’ they have done and to give an opinion on everything. I think video conferencing might force people to be more to the point. Treating all employees fairly does not mean they needed to be treated the same, this comes up a lot, specially in government offices / companies. Different jobs come with different responsibilities. It’s in no way practical or even sane to demand a front office counter staff in customer services should be able to work remotely because, the job by definition requires you to be at the counter to actually do your assigned work. On the other hand a developer who hardly interacts with customers on a daily basis is quite capable of getting their job done regardless of the location. We already do it anyway, companies already practice shift-duties for certain staff. Some employees don’t get all public holidays off while others do. This is just another one of those things that needs to be put in a process. We’ve always done it ‘that’ way until someone else did it some other way, but I guess the concept of changing up what you are already doing is a hard decision to make, even if it may come with massive benefits. We’re perfectly ok with demanding someone who’s in an island move to Male’, with all it’s difficulties while they might have been perfectly capable (especially true for technical and creative jobs) of working and delivering from where they were from. 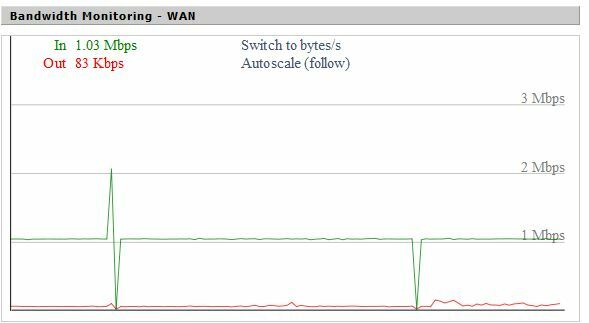 Internet access is pretty decent nationwide now, there’s no excuse. Fear of failure of doing something new and, and it not working out is a common theme too, its far easier in the current work environment not to do anything out of the norm and be ‘safe’ in the job. Doing something new opens you up to criticism from the very same people who don’t do anything new or drastic, because they are programmed to look for ways things can go wrong. If things don’t go smoothly these are the people who’d be out with the “I told you so” signs first. We have a massive culture of avoiding doing something new because no one wants to be responsible for a ‘failed’ attempt which is inevitable at some point if you keep challenging norms. Encouraging new things and establishing a culture of failing fast and learning from it is not something we are used to. Most likely if you do something new and succeed nine times and fail once, you would probably be singled out for why it failed , given a couple of cautionary notices and be summoned to the boards and whoever else for ‘javaabdhaarivaan’ while your successes will not be celebrated. If the last point sounds aggressive and a bit out of topic it’s because it is meant to be. I’ve had to deal with a lot of flak for doing things out of the norm from people who don’t do anything and are perfectly content with the status quo. Most of the top issues or concerns that seems to be on the list don’t seem to be specifically about remote working as such, it seems more so that they don’t have faith in the systems, processes or the people. This is a systemic issue with processes here, but needs to be broken. This is not a new thing, this can be done. 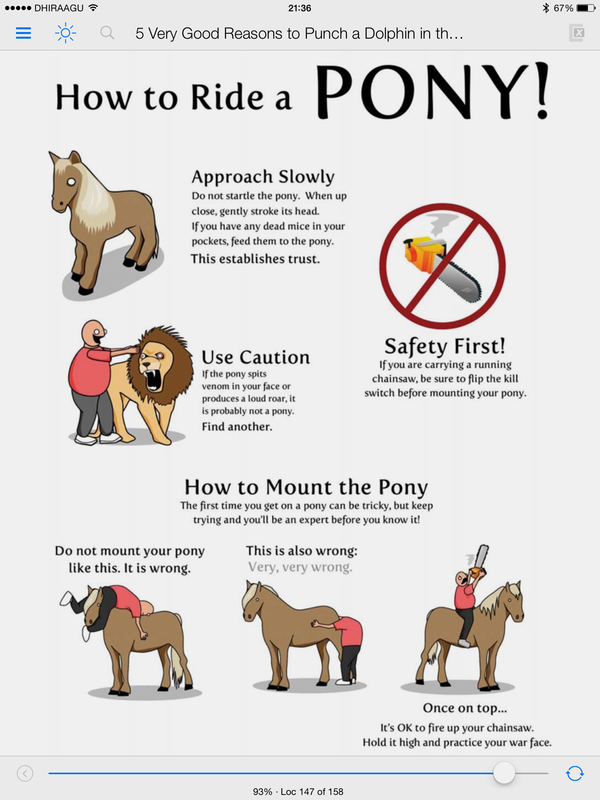 This entry was posted in Entrepreneurship, Startup, Tech on January 1, 2018 by ahmedriyazi. 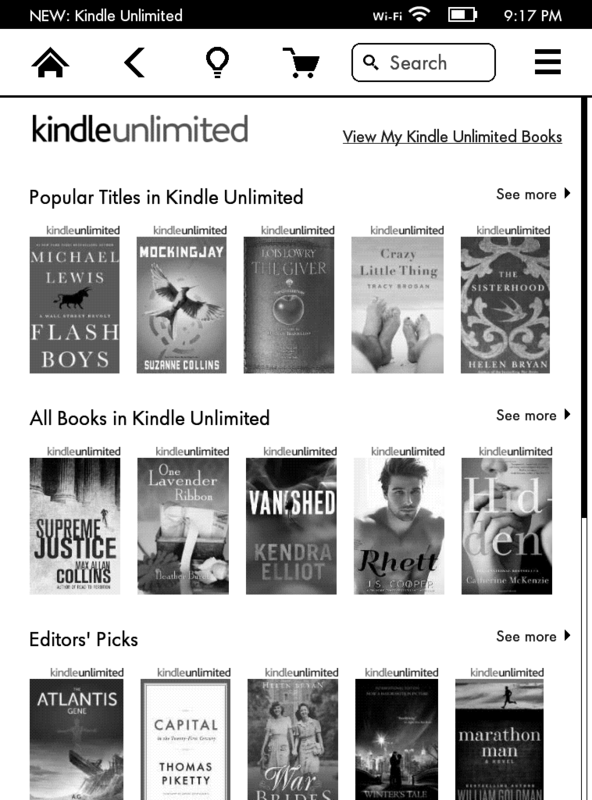 So i signed up just a few days back for the kindle unlimited trial account. I’d like to share my thoughts on the experience. first off i am a paying amazon prime customer, and by having that i do get access to ‘borrow’ one book a month from their significant library. but its kind of restricted to my kindle device, yes..an actual kindle, prime customers cant use the prime libarary to borrow on an app on lets say the iPad or an Android device. Kindle unlimited by comparison allows you to borrow up to 10 books at a time from their library of what looks pretty similar to the prime lending library, i don’t know if its the same or not.. Amazon does say 600,000 + titles but yeah 10 books at a time. and it does not have the limitation on the iPad or Android as Prime does. 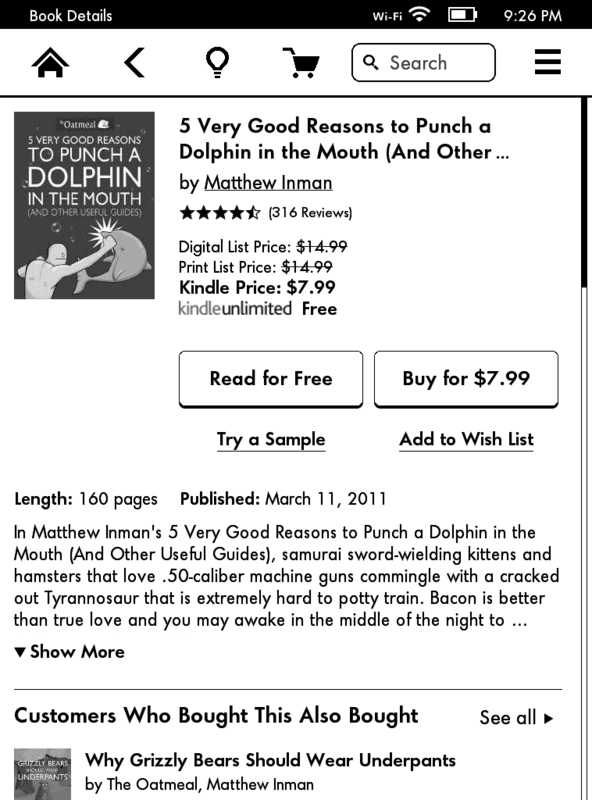 It also does not seem to restrict checking out books you already read or restricting how many books per month etc. Not that i’ve noticed anyway. Borrowing a book seems pretty straightforward enough, Store on website, iPad and kindle itself seems easy enough..
You do get a 3 month trial to full audible services, which is basically 1 book credit per month for 3 months. this in itself is not a bad deal at all, there are no restrictions on any books that you can purchase using these credits and i assume they are yours to keep in your audible account. Audible may be owned by Amazon but it’s a different account separate from the kindle unlimited subscription. 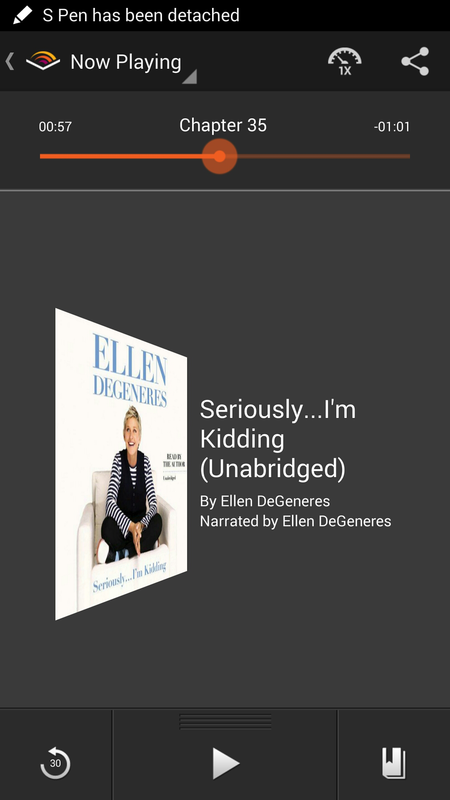 My audiobook choice for this month “Seriously…I’m Kidding” by Ellen DeGeneres, she narrates it and it’s hilarious! and yes i do love audiobooks. So.. is it worth it? Personally for me … a resounding YES!, and YES even though currently the major publishers may not be on board, that doesn’t negate the fact that it still does offer some really good books in the library. and $ 9.99 a month is really just a coffee or a price of a single book that you give up to get access to a lot more of good books at your fingertips. If you do read, and love to read i don’t see how you can go wrong with this. Yes i do wish this was included in my prime subscription which i already pay to amazon, but really this still is a great value. And if you are someone who loves dead trees, move on, it’s time, i tried to hold on to that, but nothing can beat the convenience of ebooks. This entry was posted in Reviews, Tech and tagged Amazon, amazon prime, ebooks, kindle, kindle unlimited, reading on July 21, 2014 by ahmedriyazi. 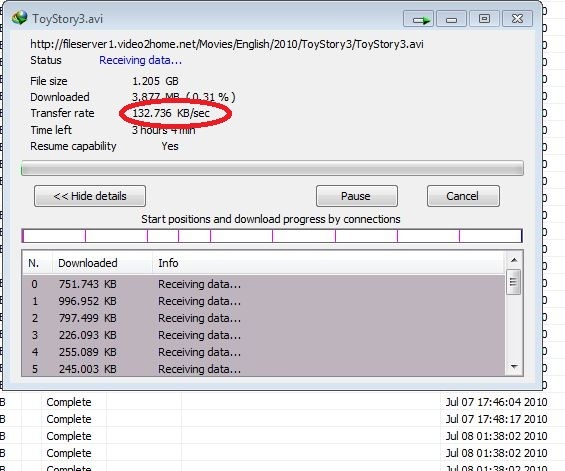 video2home.net… locally hosted downloads site..great download speed!! i don’t think it would work too well for people on dhiraagu tho…..
more thoughts on the site later.. This entry was posted in Tech, Telco/ISP and tagged downloads, focus infocom, video2home on July 8, 2010 by ahmedriyazi.